What we call the salvage operations are really labours of love. An incredible amount of effort goes into making lost music more widely available. One of my own favourite outlets is the Jazzman imprint, which has for a number of years been steadily releasing a series of 7”s and compilations of madcap library grooves, femme soul, cosmic dancefloor jazz, deep junk, and latin scorchers. 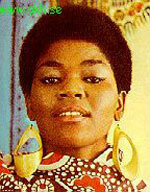 Its first round-up of bespoke 7”s included Letta Mbulu’s 'What Is Wrong With Groovin’', which was outstanding torch soul. It was only later I found the two LPs Letta would go on to record with David Axelrod. These LPs are astonishing, and myself I think they’re the best things Axelrod’s been involved with. With the help of trusted alchemist and arranger HB Barnum, Axelrod mutated Mbulu’s native South African sounds into a ferociously funky latin soul storm. And Axelrod wonderfully couldn’t understand why these records didn’t go on to sell millions. Now when people talk of Axelrod they tend to talk about the drums, the big Earl Palmer propelled sound. The Axelrod beats have apparently been sampled so many times that he’s right up there with the most appropriated. 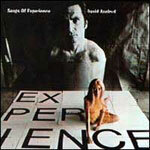 I’m sure there are studious lists of tracks where the Axelrod sound has been used on certain tracks, but don’t ask me. I’m rubbish at spotting samples. The first of these was Mass In F Minor, which was choral punk, chanted in latin, with wild distorted guitars wailing away, and yeah big drums. It’s mad, a brilliant idea, and it sounds great now. It’s very much in keeping with the way Axelrod’s Capitol comrade Ed Cobb used the Chocolate Watchband as “a pallet for weird ideas”, which incidentally Cope is strongly in favour of in his article. I love the whole ‘60s thing where the seemingly straight major label guys like Axelrod and Cobb got to run riot with ideas. Capitol wanted Axelrod to go even further than Mass In F Minor, so he went off to create sets inspired by William Blake’s Songs of Innocence and Songs of Experience. Blake’s been a big out there pop influence, for Dylan, Patti Smith, Mark Stewart, Jah Wobble, and more, but none have gone as far as Axelrod. Those two sets are sweeping symphonic statements, pulling in everything from Debussy, soul, Beach Boys, Mingus, Stockhausen, and Mancini it seems, and yeah lots and lots of drums and big ideas. The Blake works were followed by an environmental Earthrot set, which was even more exceptional, and featured choral singing as perfect as that on Donald Byrd’s Cristo Redentor. His close comrade Gary McFarland would be working in similar areas on his America The Beautiful set, an absolutely beautiful and incredibly ambitious set. Axelrod’s creative flow was thrown off course by the death of his son Scott, and it would be the ‘90s before Axelrod’s became the name to drop, and the sound to sample. His influence was everywhere, and could especially be heard in the sweeping grandeur of DJ Shadow’s best work. The Shadow’s label Mo’Wax would go on to do more than dig in the crates, and indeed it recalled Axelrod to life and established a creative partnership which culminated in a great set, which unfortunately got sort of lost during the darker, quieter, later days of Mo’Wax. Much of this set was based on salvaged Faust-inspired (that’s Goethe not Krautrock) recordings made 30 years before, with some contemporary embellishments. The closing, newly created 'Loved Boy' is an incredibly moving eulogy to Axelrod’s lost son. 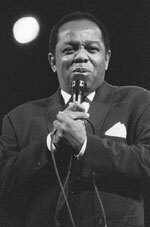 As DJ Shadow correctly points out in his sleevenotes, the words could only have been sung by Lou Rawls, who was with Axelrod on his darkest day when he heard about his son’s death, and with whom Axelrod had worked closely on a series of recordings, including the all-time soul classics like 'Love Is A Hurting Thing' and 'Dead End Street' as part of that peerless sophisticated saloon soul thing that is such a special part of the ‘60s. Lou, himself, died just a few weeks before this was written. These Rawls recordings can be heard again, as following the Mo’Wax tie-up Axelrod’s work and productions have been regularly anthologised and analysed. It would be wrong to suggest that Axelrod’s activities beyond the ‘60s should be overlooked. Some swear by the work he was involved with at Fantasy. Certainly we should celebrate the incredible dignity of the 1993 Requiem: The Holocaust set, which is another impossibly ambitious classical/jazz work made around the time of his rediscovery, and indeed incredibly removed at one level from the rawness of the hip hop tracks where his old music was being utilised to such great effect. While interviews with Axelrod tend to focus on his not receiving his dues for samples used and abused, which is understandable, there is a mischievous idea running through my mind that an Axelrod transported to another age would be fully approving of appropriating a sound and beat from another source to twist into something new.